When it comes to managed WordPress hosting, one of our goals has always been to build an all-in-one solution for our clients which can help make site management easier. Things like customer support, reliability, and uptime are also very much a part of that. But one of the most important factors to us is performance and ensuring that when you get that surge of traffic that your site stays online. If a host can’t scale, this can present all sorts of growing pains for your business. One of our recent clients, Gadget Flow, had to go through 5 different WordPress hosts before finally arriving here at Kinsta. Is your WordPress host lagging behind on PHP upgrades? Kinsta always utilizes the latest software. New versions of PHP are available immediately after they are released and you can easily switch between versions with a single click! After moving to Kinsta we saw at least 20% faster page load speeds, better caching, and 99.9% uptime. We consider Kinsta as part of our team, they are there when we need them and help us scale and succeed as a business. 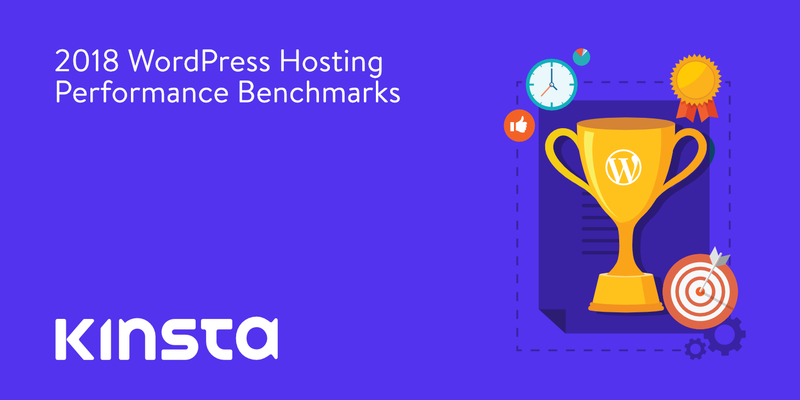 Kinsta is the fastest WordPress host on the market! We’ve proven this four years in a row. You don’t need to spend thousands of dollars. Kinsta is affordable for all kinds of businesses and cheaper than its competitors. We give you the best value, price, and performance. We have all the features you and your developers need. Why go with a slower or more expensive host? Mobile speed just became a ranking factor. Having a slow site in 2018 is going to seriously impact your bottom line. For those of you who may not be familiar with Review Signal, it’s an independent web hosting review site run by Kevin Ohashi. Thanks to Kevin’s attention to detail and in-depth analysis, Review Signal has become one of the leading authorities when it comes to benchmarking WordPress hosting providers. In fact, this is their 4th consecutive year publishing these benchmarks. Make sure to check out their 2014, 2015, and 2016 benchmark reports, all of which Kinsta was also top tier. Note: The 2018 benchmarks were supposed to be in 2017, but were delayed until early 2018. How generally terrible it is. I started my business because after a decade in the web hosting industry, there still wasn’t an honest web hosting review site that I would be comfortable recommending to people. And after operating my site for 4 years now, it’s very easy to understand why. LoadStorm: Used to help simulate real user load. LoadImpact: Used to test the static caching of the homepage with users. Uptime + StatusCake: Two uptime monitoring services were used to measure consistency. WebPageTest.org: Used to test overall speed from different locations (first view only). WPPerformanceTester: Used to benchmark CPU, MySQL, and WP database performance. The tests were run on an identical WordPress dummy site with the exact same plugins, unless one was needed for that particular provider’s caching mechanisms, etc. A new change that Kevin introduced this year was that SSL was required for testing on Enterprise tiers. SSL will be required for all plans next year. See how Kinsta stacked up against the competition in each of the tiers below. 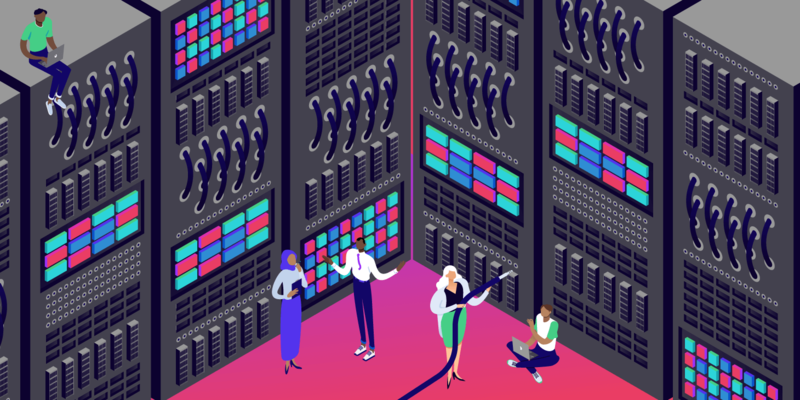 Kinsta had almost no errors across the entire Load Storm test, which was scaled from 500 to 2000 users over 30 minutes with 10 minutes at the peak. Kinsta performed flawlessly on the Load Impact tests. Our WordPress caching is rock solid! Kinsta also had 100% uptime through the entire testing period. Dreamhost struggled on Load Storm tests. Pressed.net had a lot of Load Storm errors and issues with uptime. Siteground struggled with uptime (Note: they did issue statement saying that perhaps this shouldn’t have happened). The Load Storm test was scaled from 500 to 3,000 users over 30 minutes with 10 minutes at the peak. Kinsta only had 1 error. 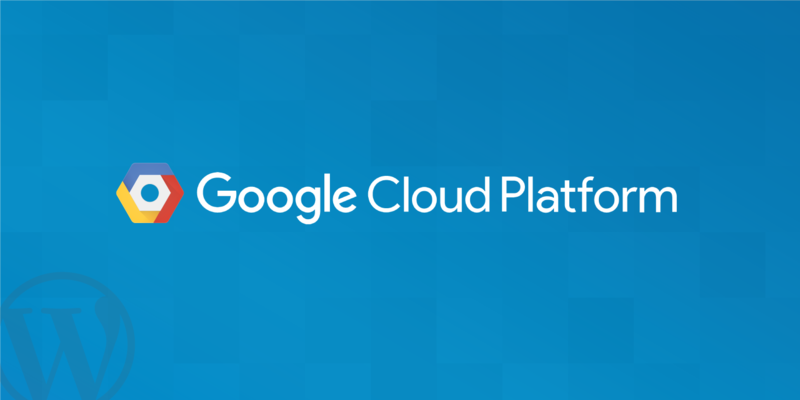 CloudWays, Pressable, Nestify, and Pantheon on all had errors. Kinsta once again performed flawlessly on the Load Impact test. Kinsta once again had 100% uptime through the entire testing period. We also had the fastest PHP bench and WP bench in this tier. CloudWays struggled on both load tests. Nestify had issues on Load Storm tests. The Load Storm test was scaled from 500 to 4,000 users over 30 minutes with 10 minutes at the peak. And as you can see, Kinsta dominated this test with only 48 errors and the lowest peak response time. Note: Liquid Web did have SSL enabled which skewed their results slightly. Kinsta once again performed flawlessly on the Load Impact test, as well as the lowest peak average load time. Kinsta once again had 100% uptime through the entire testing period. 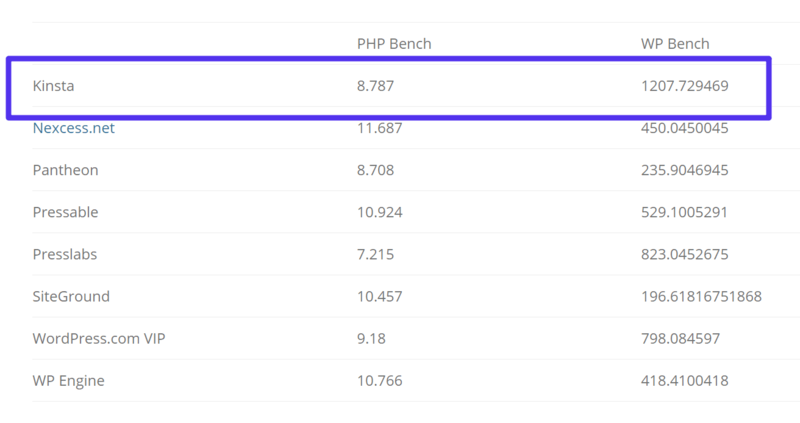 We also had the fastest PHP bench scores. Due to the fact that Liquid Web had SSL enabled it is hard to tell where they actually fell. 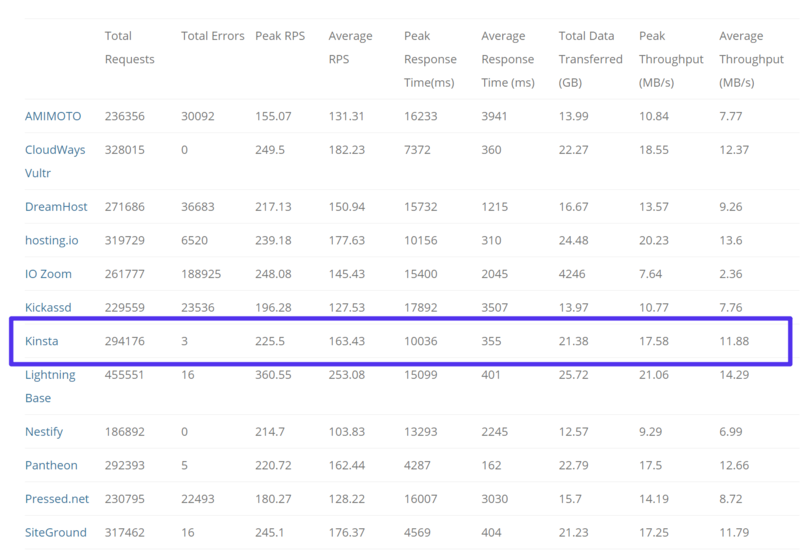 Nexcess and Nestify both struggled with load tests. It’s worth mentioning the pricing here. Kinsta is actually cheaper than all other competitors in this tier, with our Business 2 plan. Also, take note that Pantheon’s pricing is actually based on monthly pageviews, not unique visitors. This means you’ll find yourself needing to upgrade plans at Pantheon a lot sooner. The Load Storm test was scaled from 500 to 5,000 users over 30 minutes with 10 minutes at the peak. Kinsta again dominated this test with 0 errors. Pantheon struggled on Load Storm tests. Nestify as lower scores due to a bottleneck of 100 Mbps connection. If we look at the pricing in this tier, we can see that Kinsta is significantly cheaper than all other hosts. Our Enterprise 1 plan is $600/month and our Enterprise 2 plan is $900/month. Also, if you need additional storage or visitors our sales team can always put together a custom quote for you. But no matter what your needs are, we’ll beat the competition when it comes to pricing at this level! 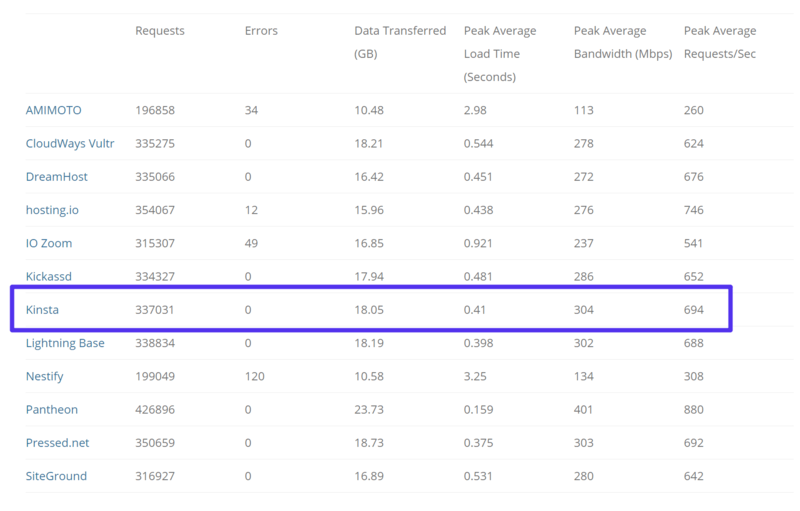 The Load Storm test was scaled from 500 to 10,000 users over 30 minutes with 10 minutes at the peak. Again Kinsta again dominated this test with 0 errors and we also had the lowest peak response time. And while all hosts showed great uptime, Kinsta was one of only three that that had 100%. Kinsta has also seen the greatest change as far as improvements in WP Bench scores, with an increase of 376%. Once you get to this level of WordPress hosting we can see that many do in fact perform incredibly well. So we can’t really say that any struggled. This then brings us back to the price of which Kinsta can’t be beaten. 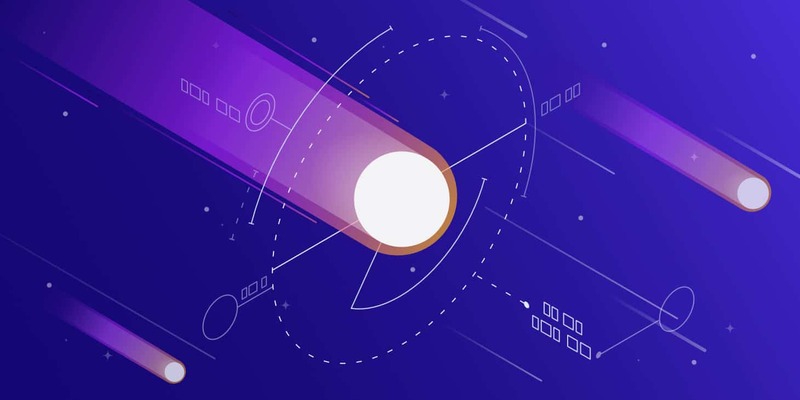 Kinsta is proud once again to be one of the only companies that consistently achieved “top-tier” status across all tests along with 100% uptime. We’re confident in the decisions we’ve made regarding our infrastructure over the past couple years and are excited to see the results pay off! We’re committed to providing you with the best possible environment to grow your business and stay ahead of your competition. Check out our Why Us page to see exactly how we’re different from other hosts. If you have any questions regarding our service or platform, contact our sales team which would be more than happy to assist you. Or if you’re ready to dive right in and let us show you the Kinsta difference, migrate your site today. Thanks Jordan! We appreciate the kind words.